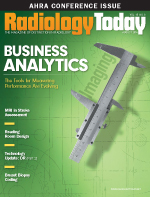 Many medical imaging departments are facing the questions of when and how to update outdated radiation dose management policies and procedures, but where do they begin? How do they identify all of the health care provider roles that will be impacted? How do they implement the changes at an enterprise level that will ensure the policies and procedures’ accuracy and proper adoption? Radiation safety policies and procedures are one of eight important components of a robust radiation safety program, the others being workflow, standardization of the imaging protocols, an automated dose management solution, risk management guidelines, education, a radiation safety committee, and marketing. Imaging policies and procedures cannot be updated alone but should be developed simultaneously as an organization identifies and develops the other seven components of the radiation safety program. Updating policies and procedures may be an initiative that needs to be addressed throughout your organization—not only within the radiology department—as regulatory requirements and new standards are being developed and adopted routinely for the whole health care industry. Your policies and procedures probably are not iterative or accurate, which should be the first indication that your organization needs to review and identify the gaps in the existing imaging policies and procedures. The imaging policy and procedure requirements have changed tremendously over the last three years. If The Joint Commission regulates your health care organization or if your organization operates in California or Texas, then your policies and procedures must be updated to meet regulatory requirements. Aside from meeting such requirements, imaging policies and procedures should be reviewed and updated annually to keep them current with emerging and advancing technologies, processes, and management decisions. Your organization’s imaging policies and procedures provide a strong foundation for both your operations and the service you provide for patients and ordering physicians. • By July 1, 2015, all individuals performing CT procedures must be registered with the American Registry of Radiologic Technologists or the Nuclear Medicine Technology Certification Board. • Health care providers must have a robust internal radiation safety program that includes a strong ongoing education/training component based on the Image Gently and Image Wisely campaigns. • Health care providers who render CT imaging services must report each patient’s radiation dose (CT dose index and dose length product) information in the diagnostic imaging report as well as make it part of the patient’s medical record. • For the elements of performance, health care providers must have adult and pediatric CT imaging protocols benchmarked and reviewed annually by a physicist. • ACR and AAPM benchmarks are recommended but not enforced. • CT equipment must meet the National Electrical Manufacturer Association standards. Begin by outlining the existing workflow for all roles involved in or impacted by the radiation safety program, including technologists, ordering physicians, radiologists, medical physicists, and risk management staff. This must include the technical and clinical components of the caregiver’s workflow. After the current state workflow has been identified, begin developing the future workflow with the proper imaging decision and risk management support checks and balances imbedded in everyone’s workflows. The imaging device protocols should be reviewed, and dose output by device manufacturer, exam type, patient type, and phantom size must be captured and implemented in the policies and procedures. Collaborate with the risk management representatives and the chief of physicians in developing a decision-support workflow and model, and implement the change throughout the enterprise. Creating the new imaging policies and procedures is a large task and must encompass everything from automated dose management solution workflow to educating consulting staff and patients. Imaging policies and procedures aren’t just a document; implementing them properly requires an entire program. The implementation strategy will fail if there are holes in the imaging policies and procedures. As your organization embarks on its radiation safety program initiative, it must be transparent to its peers and organization. Whether it’s a modest update to your policies and procedures or revamping an entire patient radiation safety program, one must begin by clear and adequate communication to all members of the organization affected by the change. As a program manager, be prepared with clear and concise workflows for all caregivers and develop an ongoing staff and patient education and training process. Educating caregivers on the big picture regarding radiation safety and including them in organizational discussions and workflow enhancements will allow clinical end users to become involved in radiation dose management initiatives and more readily adopt new standards. It’s important that health care organizations proactively seek to enhance patient-focused radiation safety efforts by going further than simply meeting compliance regulations. Key stakeholders on an organization’s radiation safety committee should be driving clinical teams to become educated on the many components of a robust radiation safety program. After assessing current clinical workflows and identifying gaps or other needed changes, developing and implementing new processes or IT enhancements can begin. The revision of CT protocols and imaging techniques being utilized by technologists is another key step in ensuring the best patient care is being provided safely and appropriately. Dose thresholds should be regularly evaluated and maintained in alignment with recommended industry standards. The rules and practices for all individuals supporting the radiation safety program should be clearly defined, including risk management guidelines to be followed in the event that a patient’s dose exposure exceeds the organization’s defined thresholds. The risk management guide should be adhered to in the event of any radiation safety incident to ensure incidents are addressed and rectified in a timely manner with the proper resources involved. Now more than ever, radiation safety initiatives are at the forefront of the health care industry. Empowering your organization with a fully codified radiation safety awareness initiative and strong dose management program documents a genuine commitment to patient safety and solid foundation for offering best practices in radiology and imaging services. As health care systems implement an automated dose management solution (eg, Radimetrics, DoseMonitor, Sectra, GE, iMalogix), they may be able to identify trends and report organizational imaging practices and protocols almost immediately if their systems can process legacy data. As a program manager and the keeper of the policies and procedures, you must review and update the data reported by the automated solution and update your imaging policies and procedures as it relates to the information discovered at least for the first six to 12 months. After the automated dose data reports normalize, a program manager can begin the annual policies and procedures update cycle. — Neomi Mullens is an IT project manager and Neil Singh is a senior consultant for Ascendian Health Care Consulting. They both are frequent speakers and published contributors on the subject of enterprise dose management and tracking.